In one of the previous tutorials, we have covered the making of a Minor Techno Chord sound where we went through the brief history of this legendary genre. Not only do I believe that this genre of music is interesting as other popular genres such as House and Dubstep, but I also think that it is unique in terms of production and sound design. In a way, Techno embodies the futuristic fusion of man and machine. That is why I will try to cover it more in the following tutorials. You have probably heard that rolling techno bass quite a few times before. 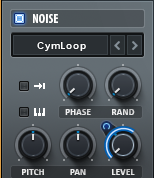 It is written as an arpeggio sequence containing just a few notes and topped with modulation of filter cutoff. Therefore, it really creates a hypnotic and uplifting feeling. 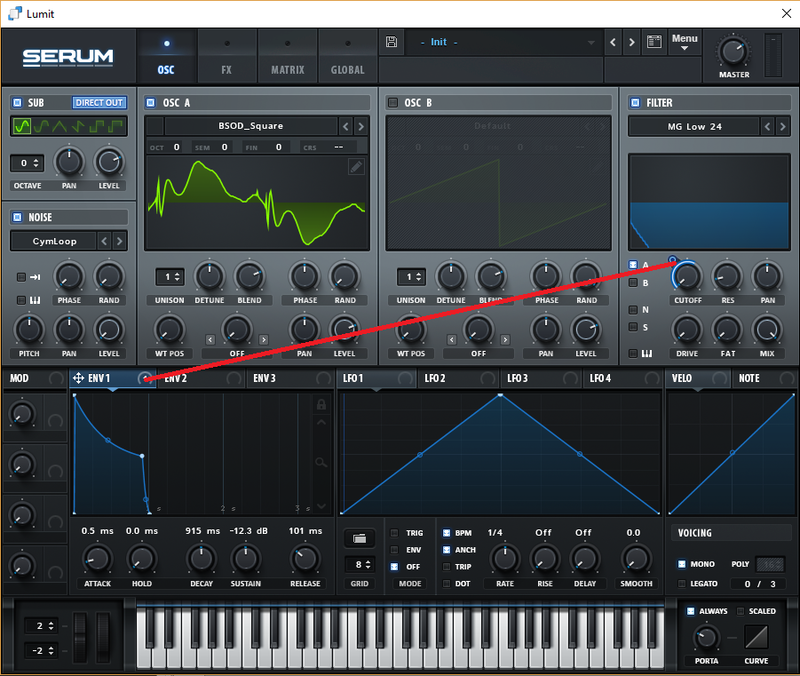 Without further delay, let me show you how to make it in Serum by Xfer synth. Now, let’s engage the sub oscillator and have it set on sinus wave to add more sub frequencies to the sound. Also, let’s turn the “Direct Out“ option since we are going to use some internal effects later on and I don’t want those effects to affect the sub. Moving forward, let’s set the envelope section with a somewhat shorter sustain. On the other hand, the release will be a bit longer. 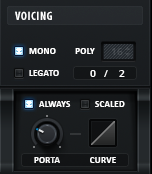 Furthermore, I am going to set the voicing to mono. 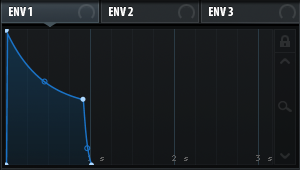 This is because I don’t want the notes of the bass to clash with each other. In other words, I want them to behave in a more static manner. Finally, we can finish with engaging the noise oscillator in order to add some high frequencies to the sound. Additionally, I will modulate its level with second envelope, the same way I did it for cutoff modulation, and in this case decay will be really short. 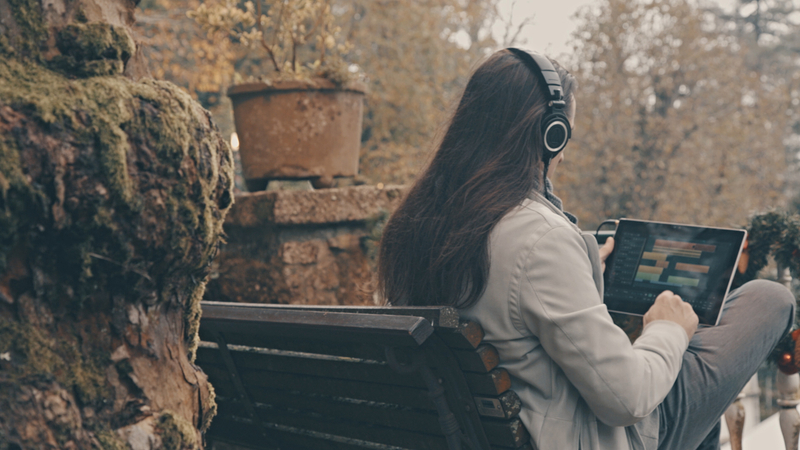 In the end, let’s heard how our bass sounds like with the rest of the elements in the mix.